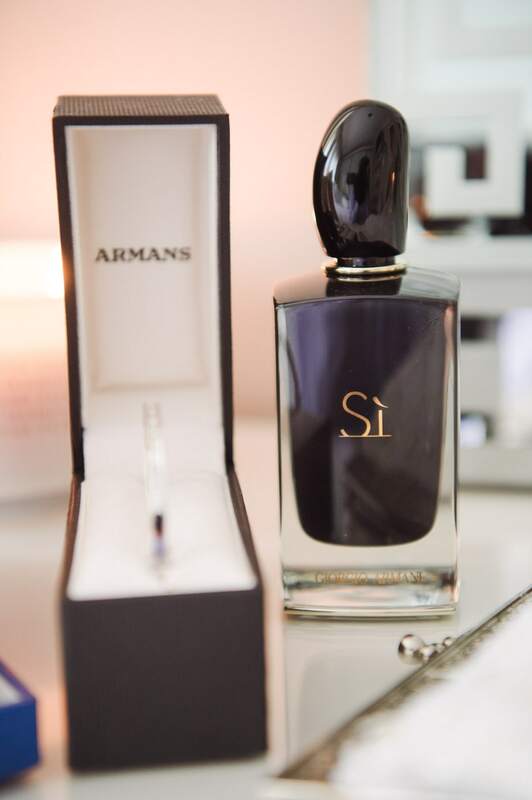 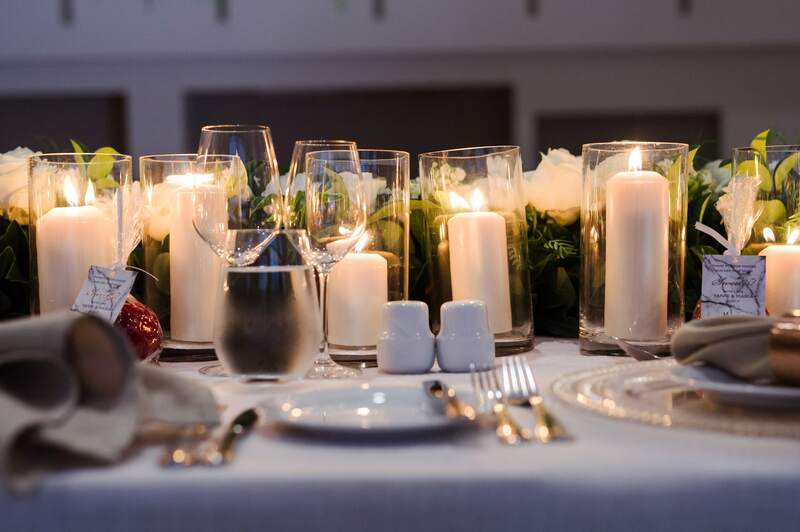 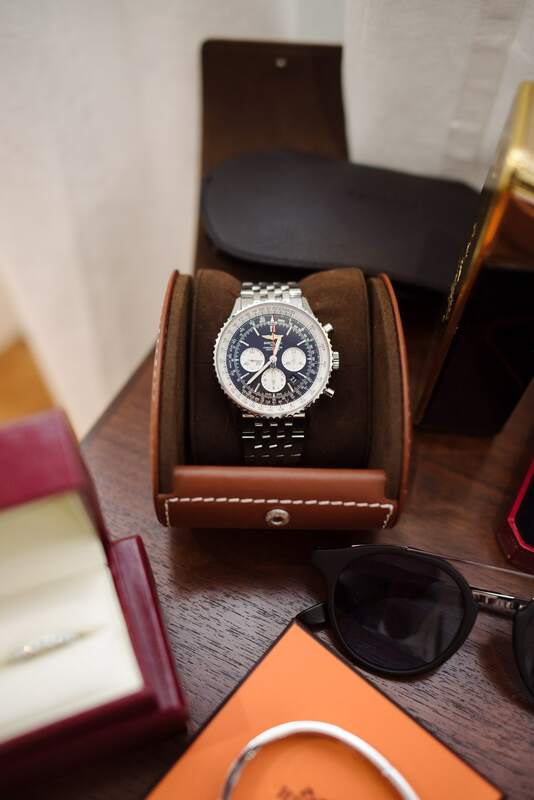 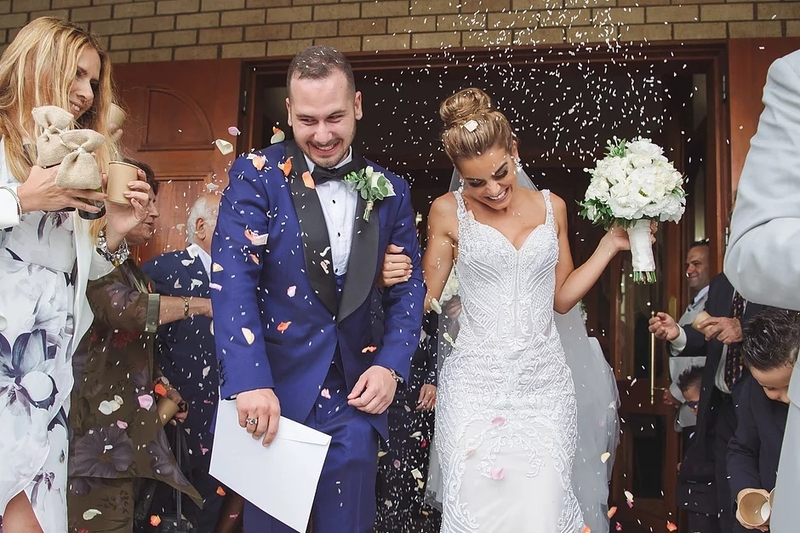 Many couples worry that their big day will be spoiled by rain, but it’s said that a wet wedding day is in fact good luck – the sign of a long and happy marriage to come. 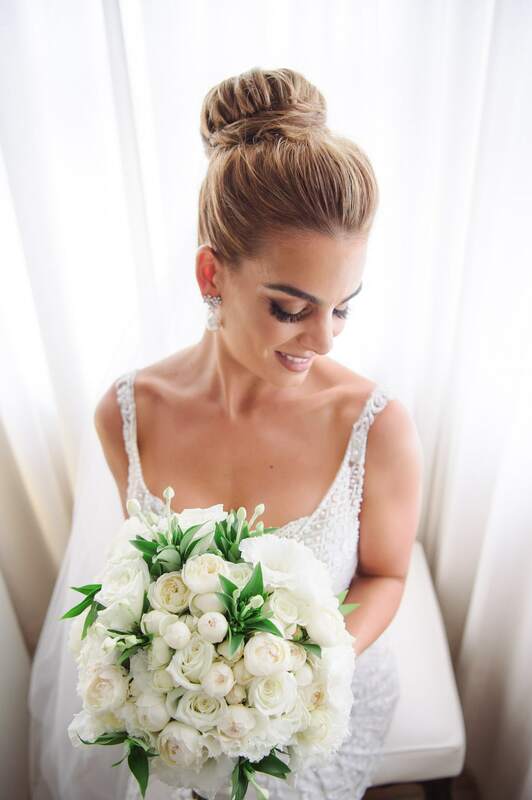 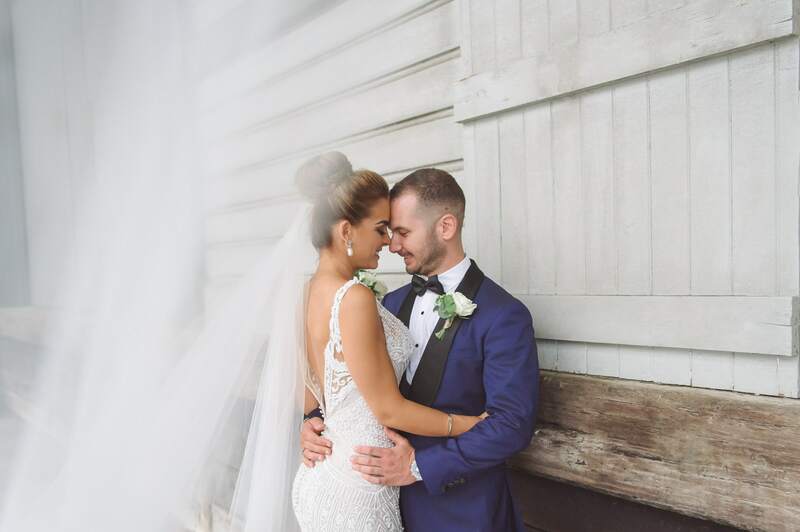 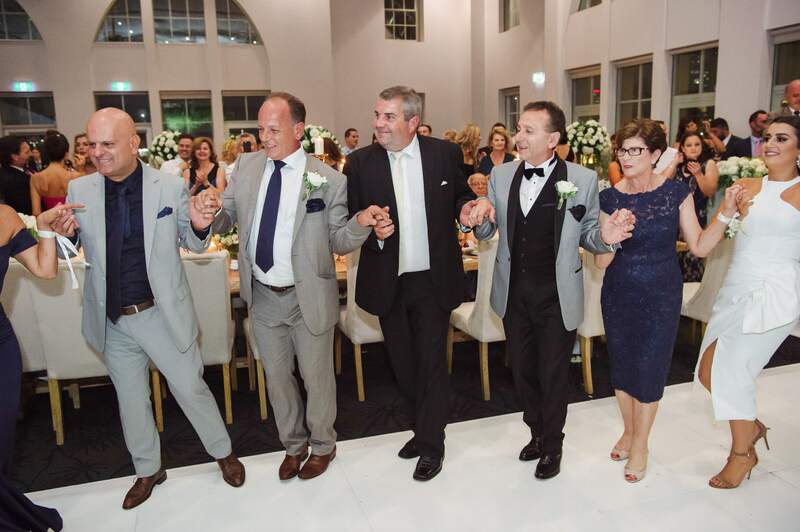 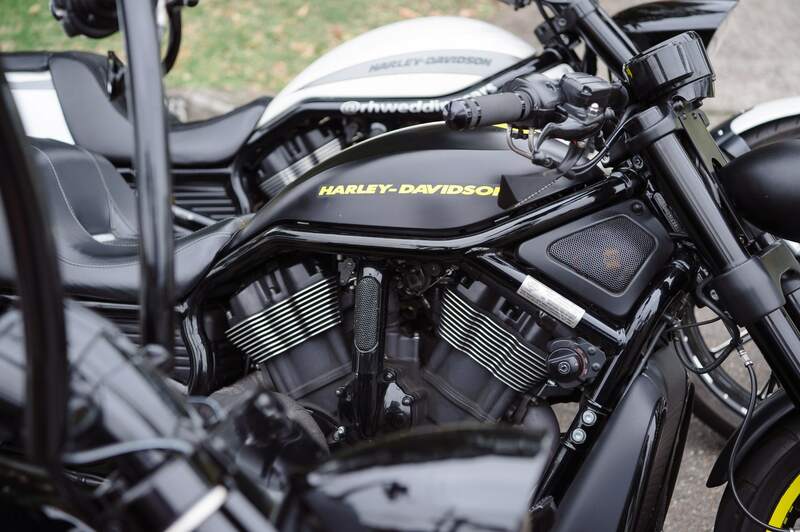 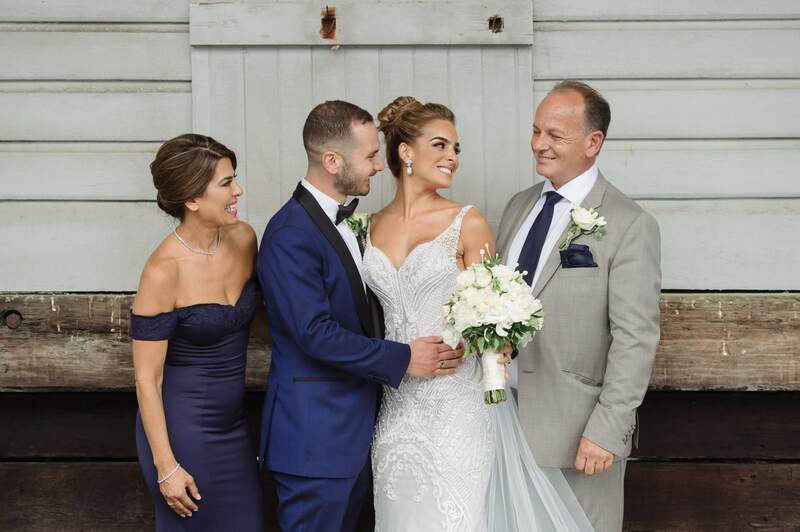 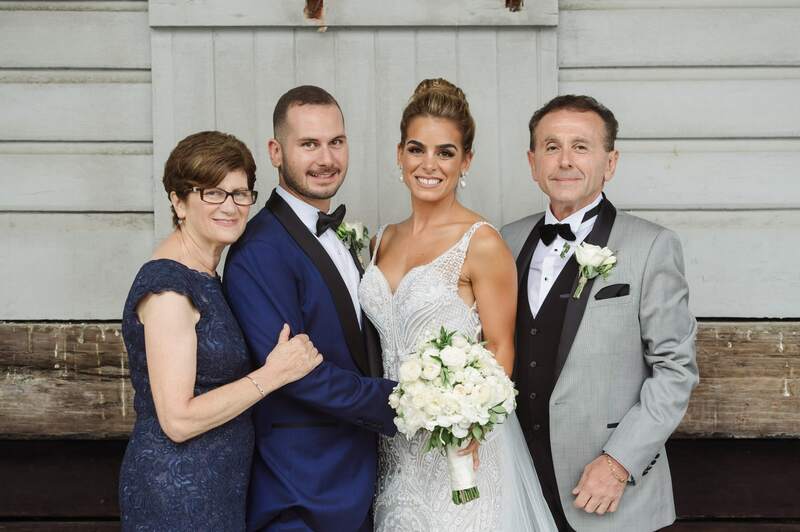 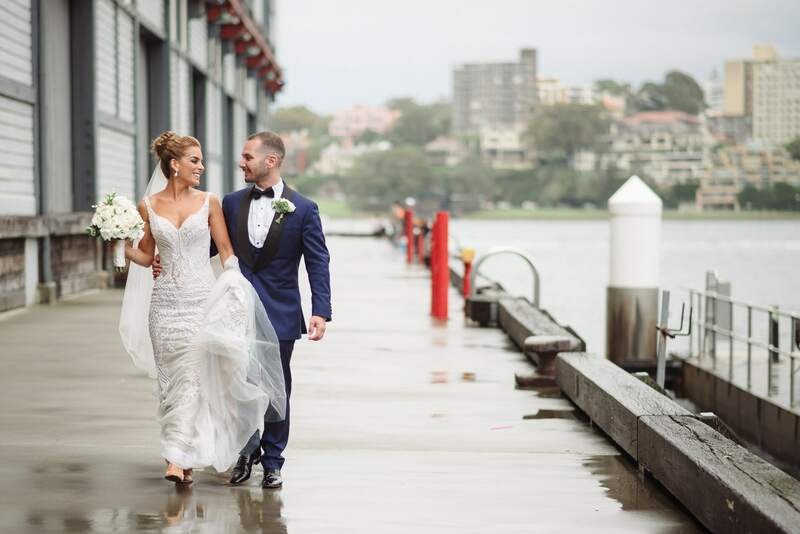 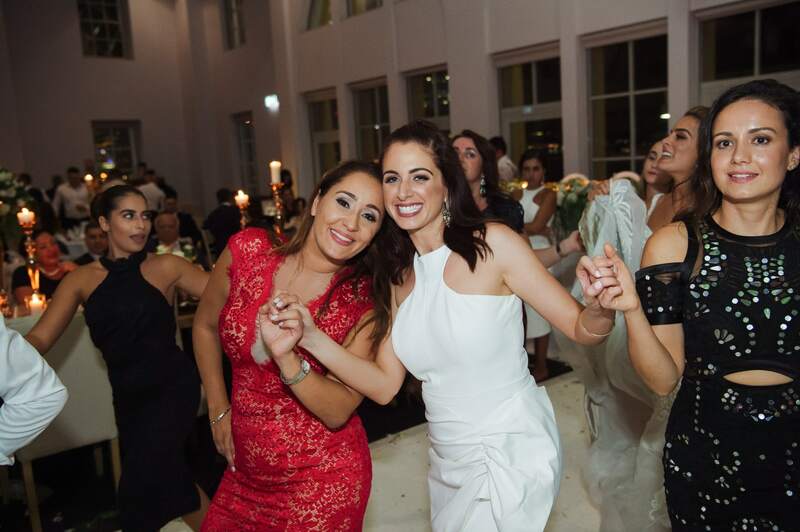 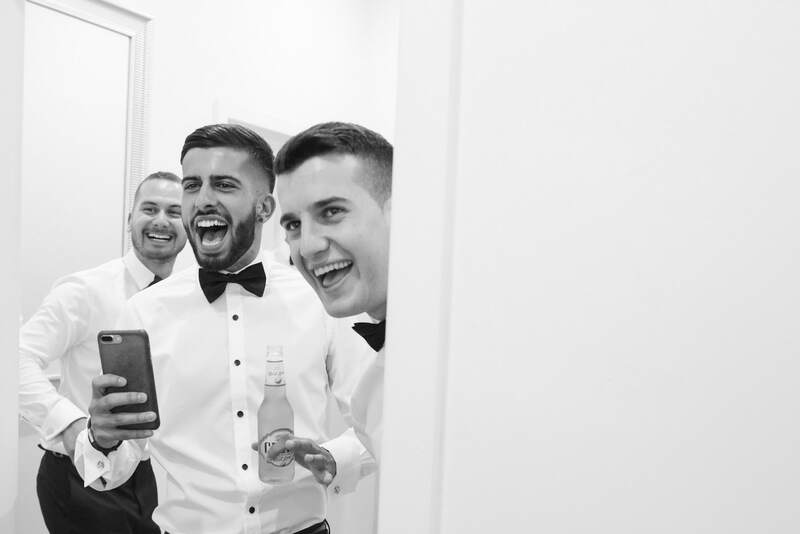 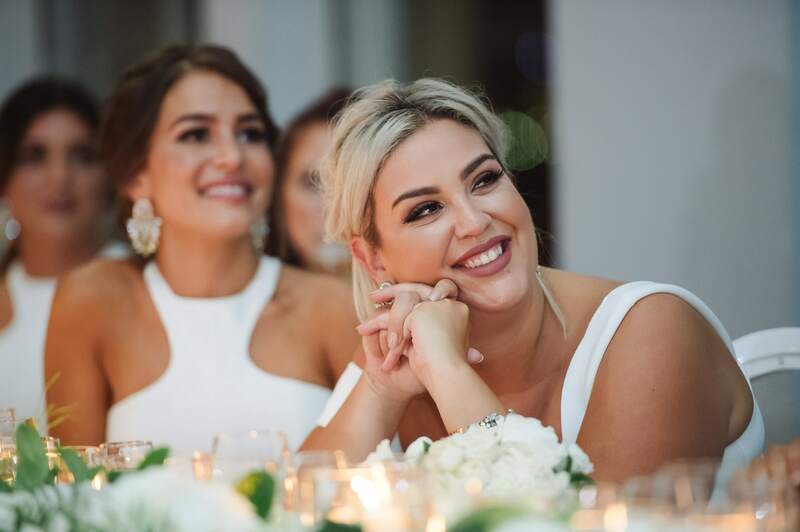 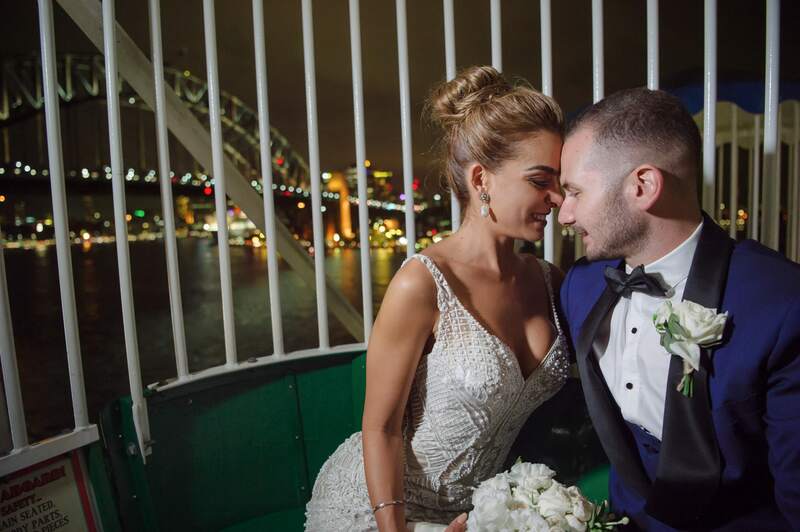 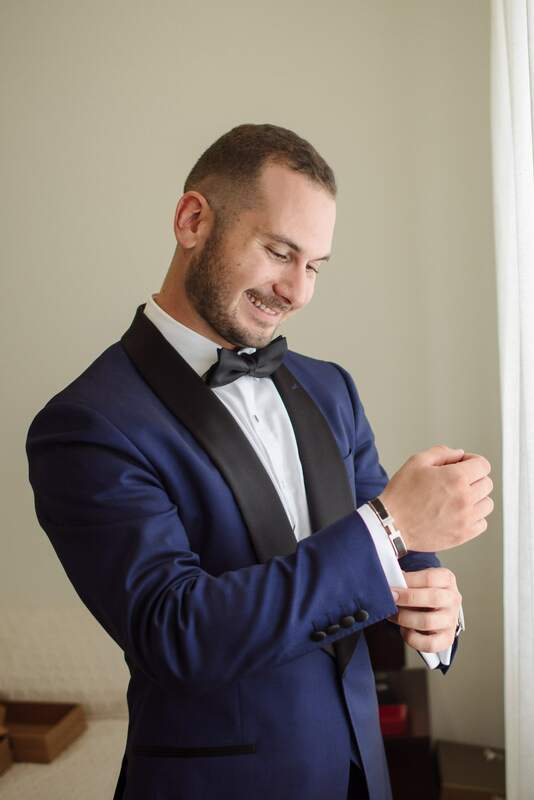 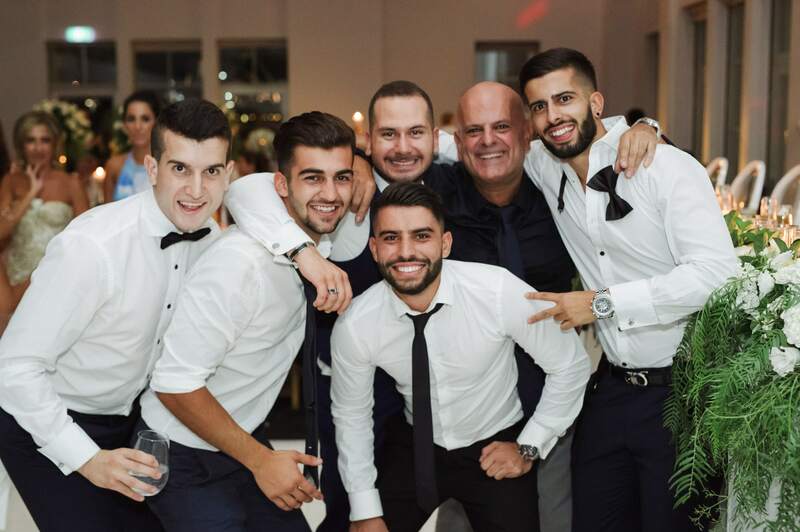 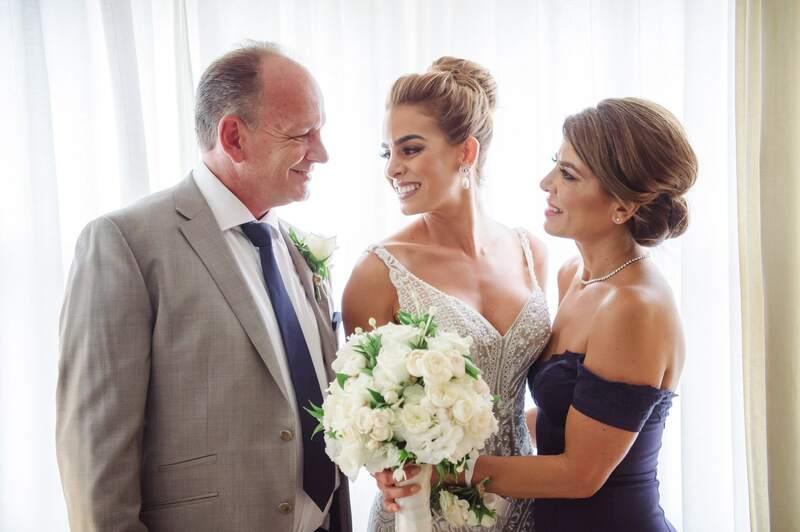 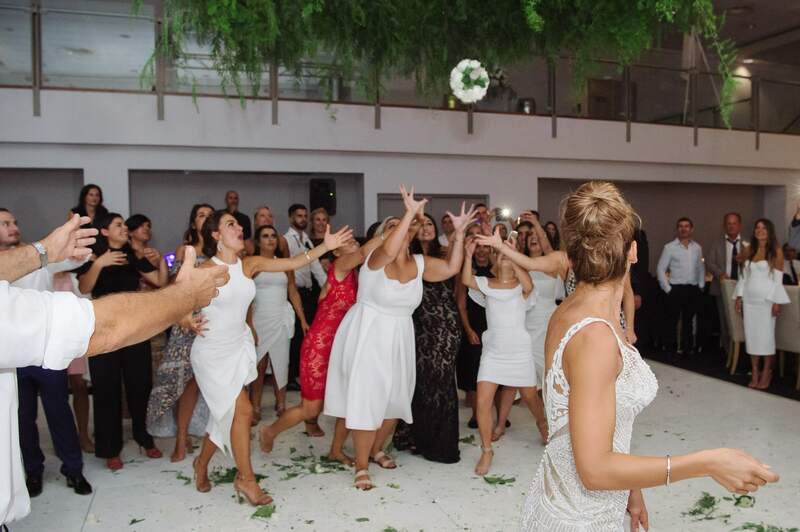 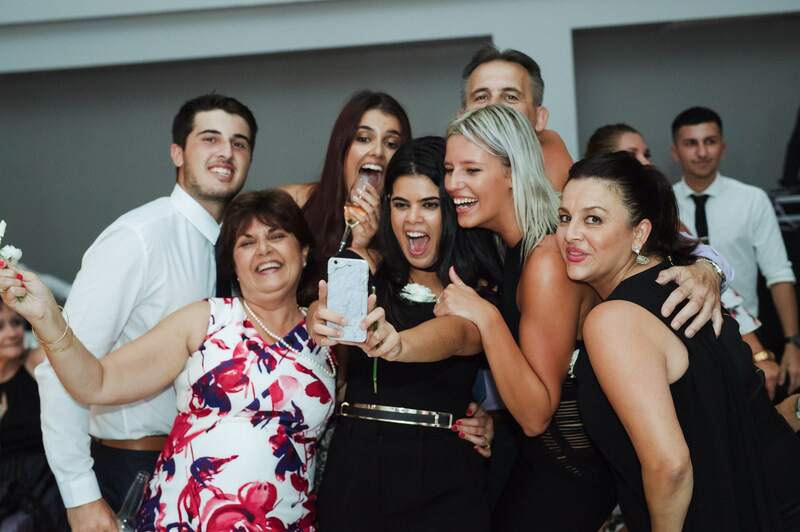 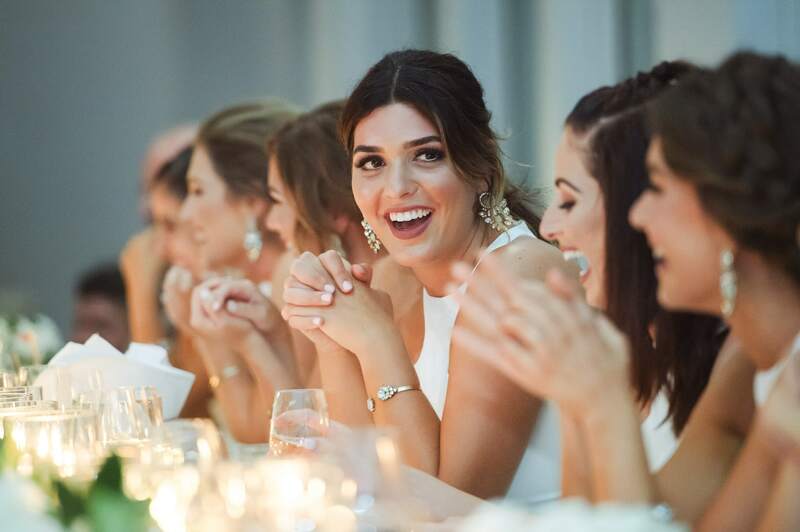 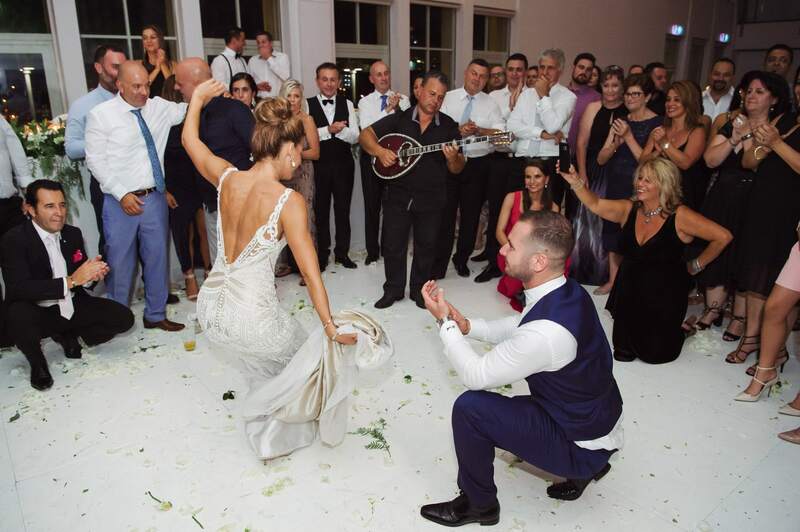 Wet weather can also make for some great photos – just take a look at this gallery of images, and the highlights video from Yanni and Maria’s wedding, both recorded by our Sydney wedding photography and videography team. 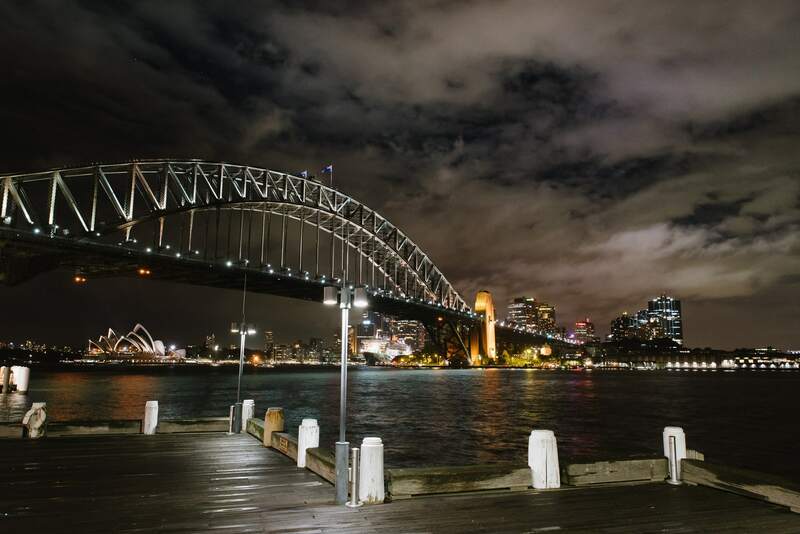 As you can see, the darker skies made for some truly phenomenal images in and around Sydney’s foreshore – providing some beautiful rich tones and dramatic shots, while the droplets of rain added a hint of sparkle. 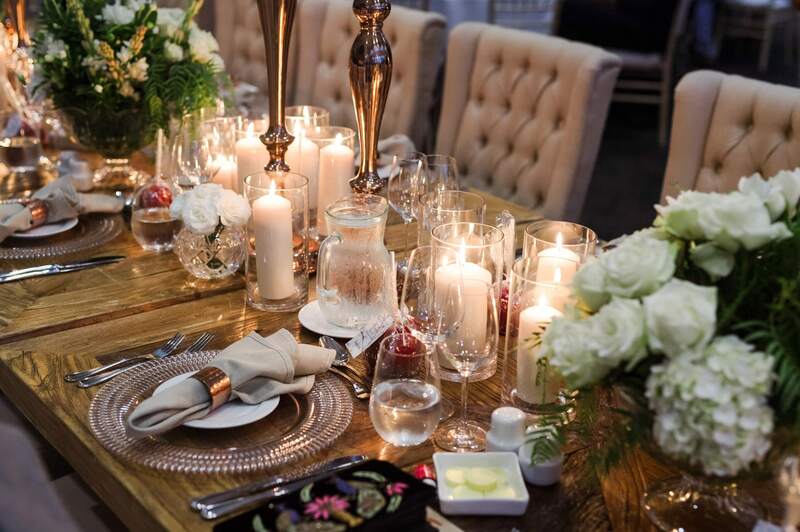 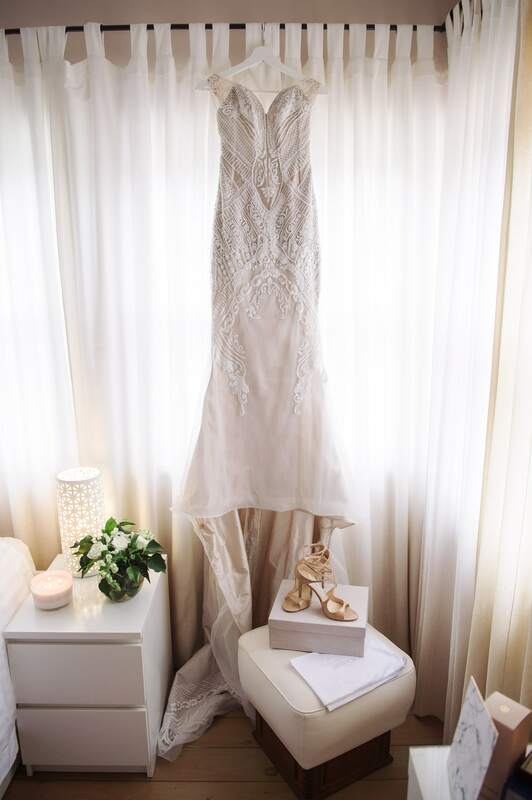 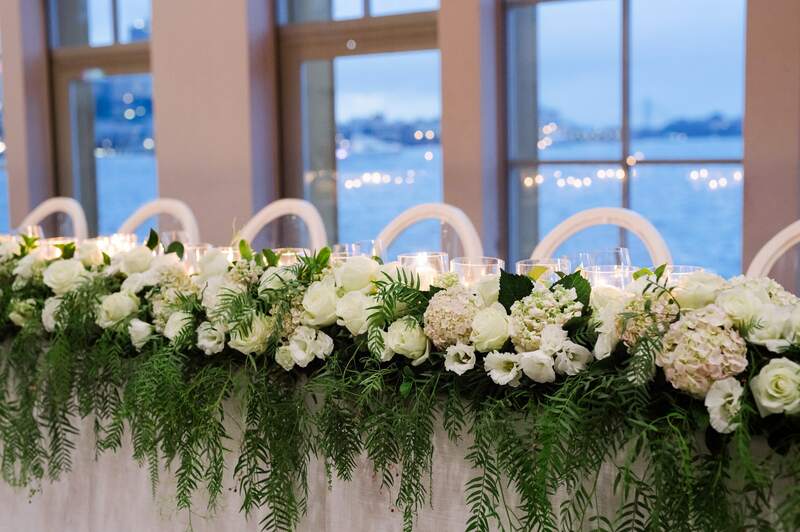 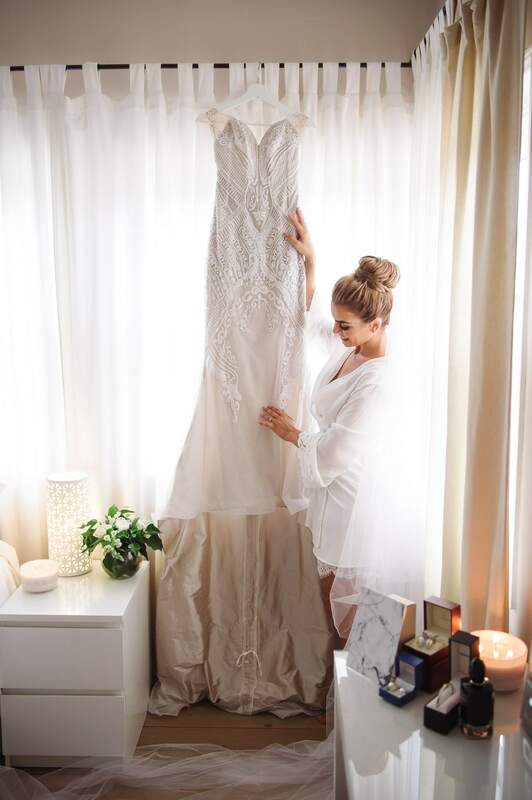 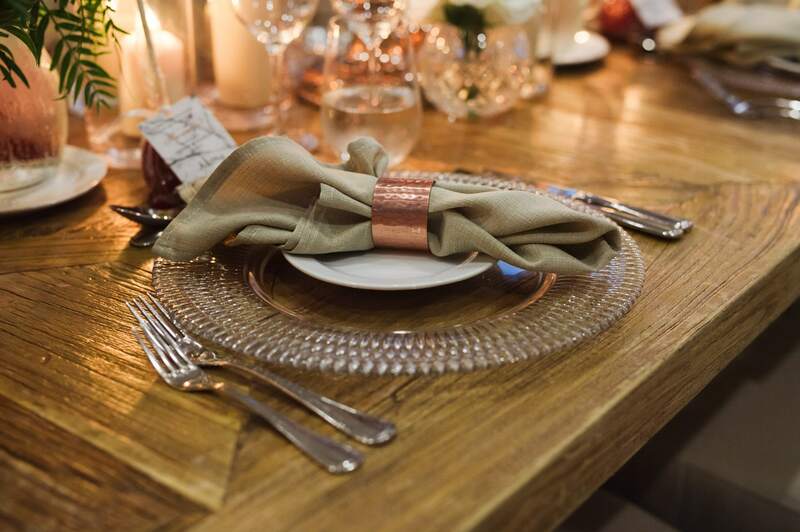 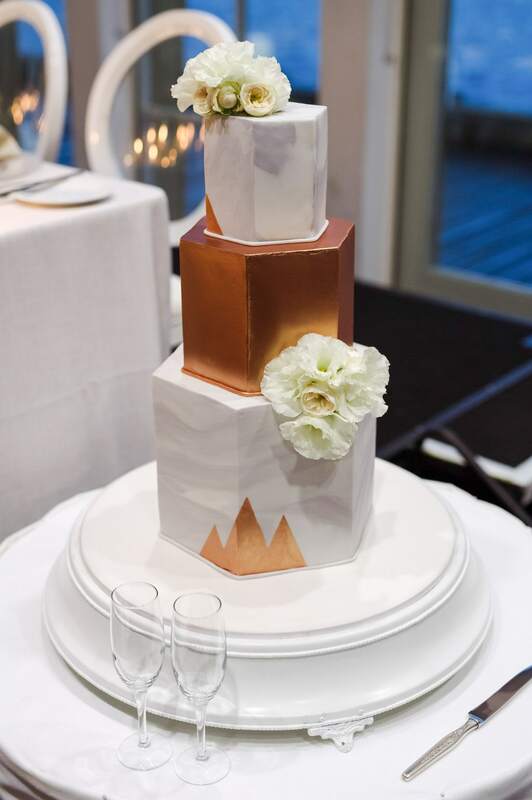 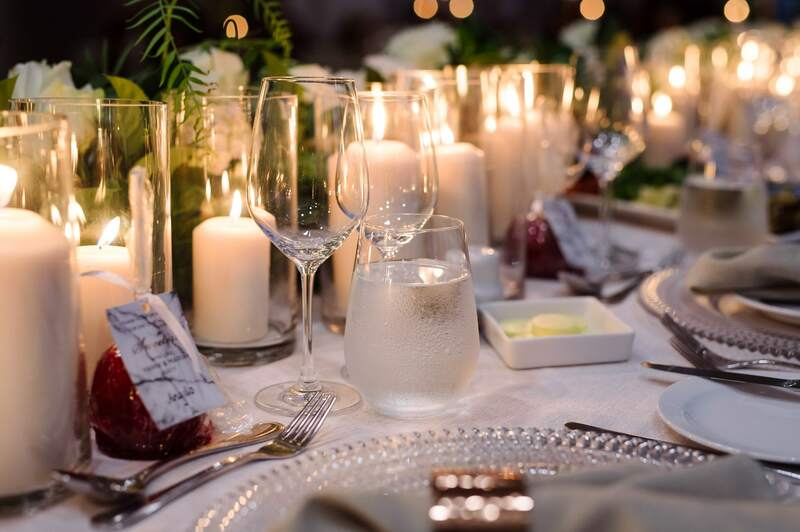 This was indeed a wedding that sparkled, even without the rain – from the bride’s glittery gown and earrings, to the bright lights of Sydney’s Luna Park, and the metallic shimmer of the hexagonal wedding cake. 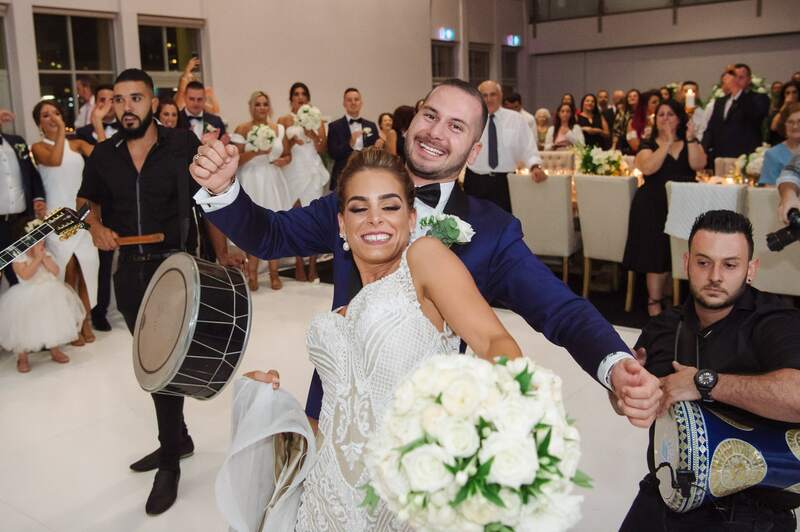 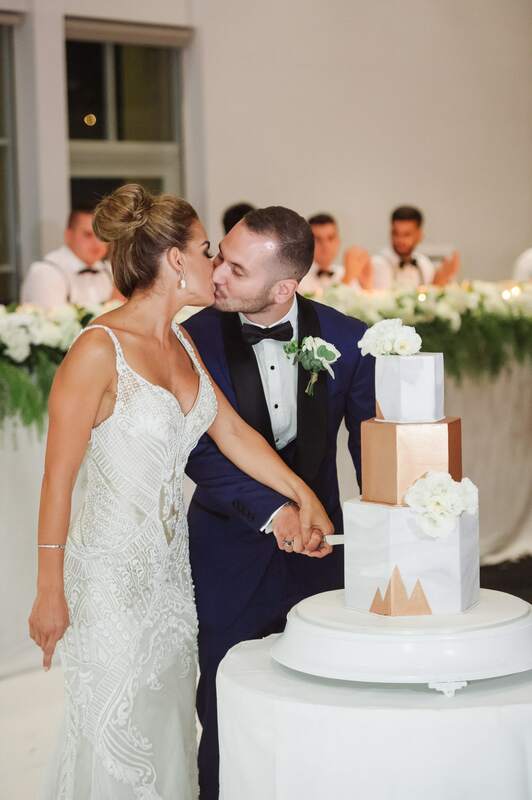 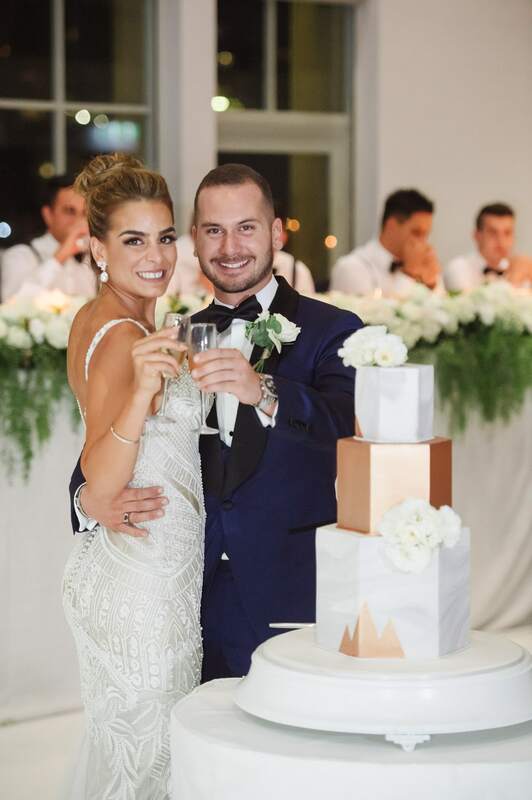 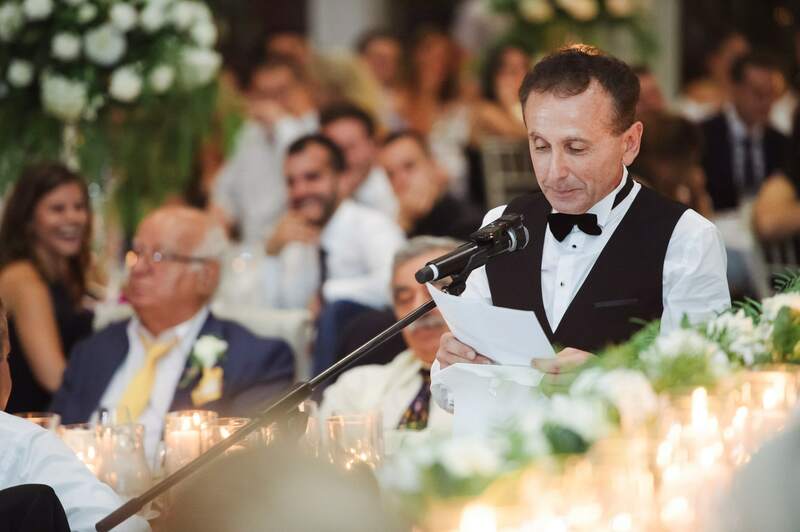 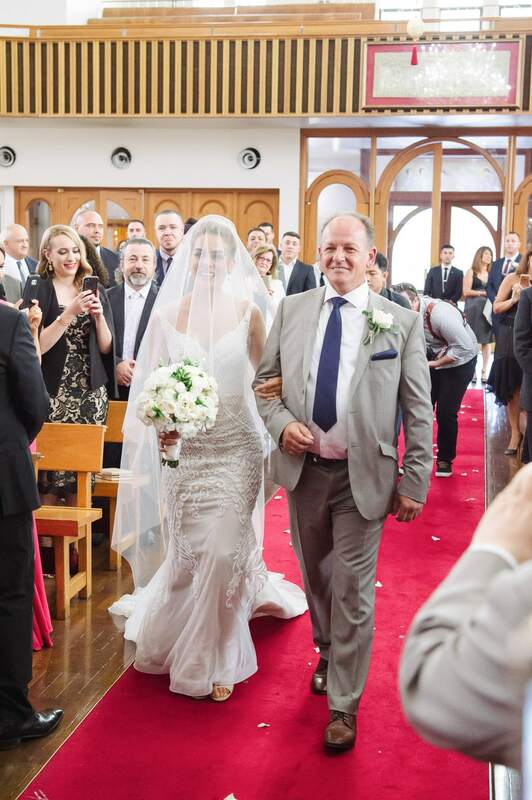 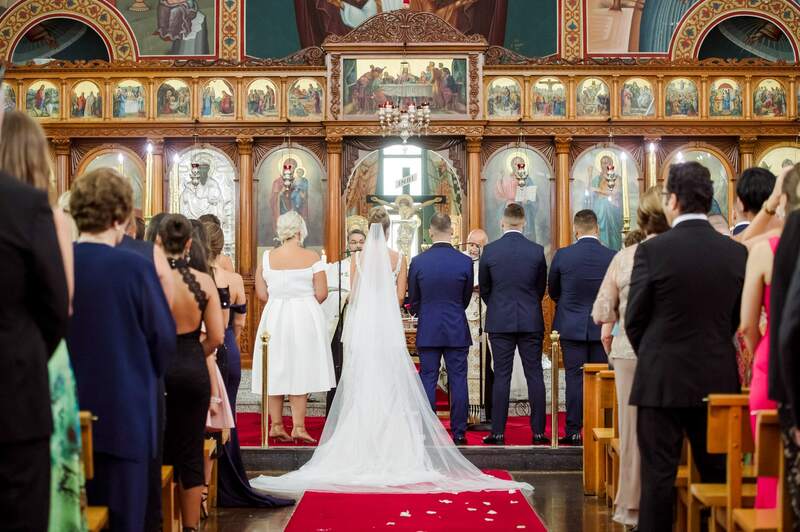 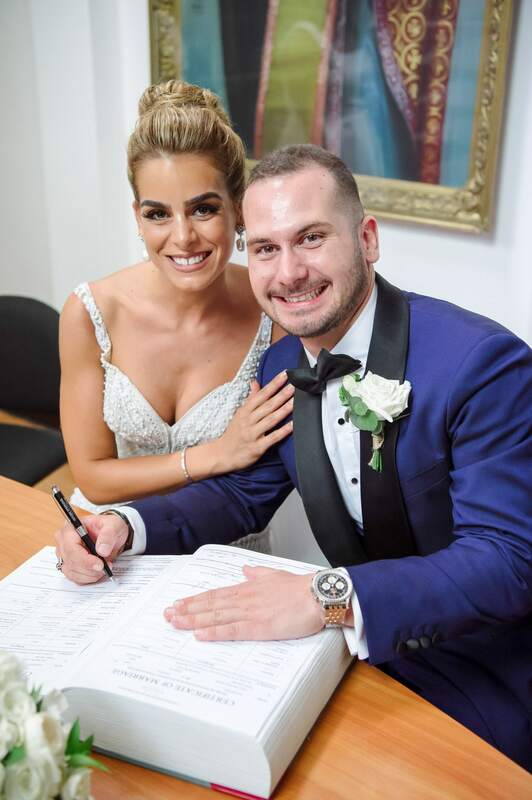 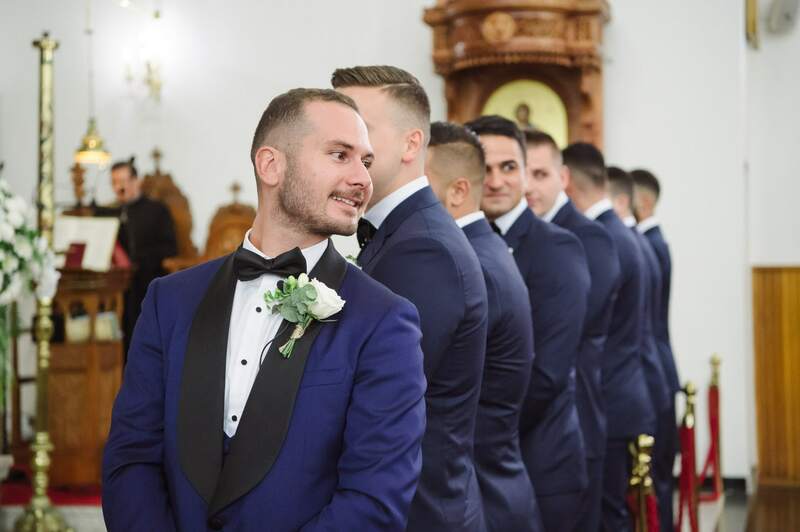 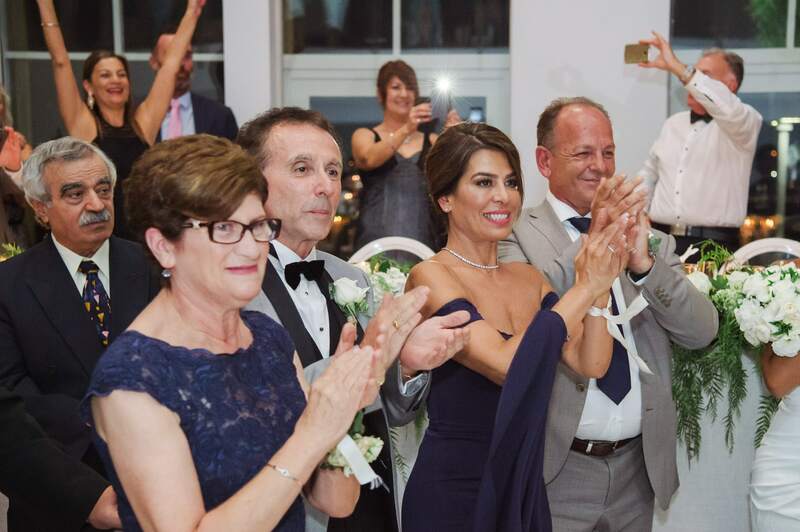 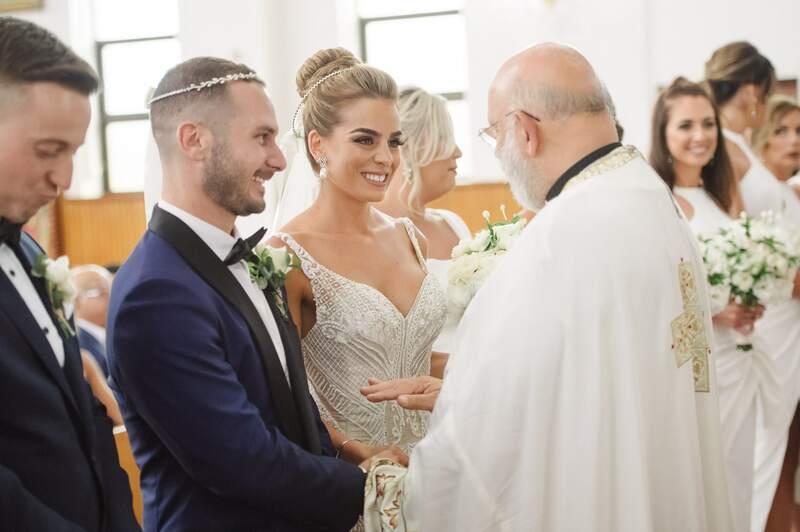 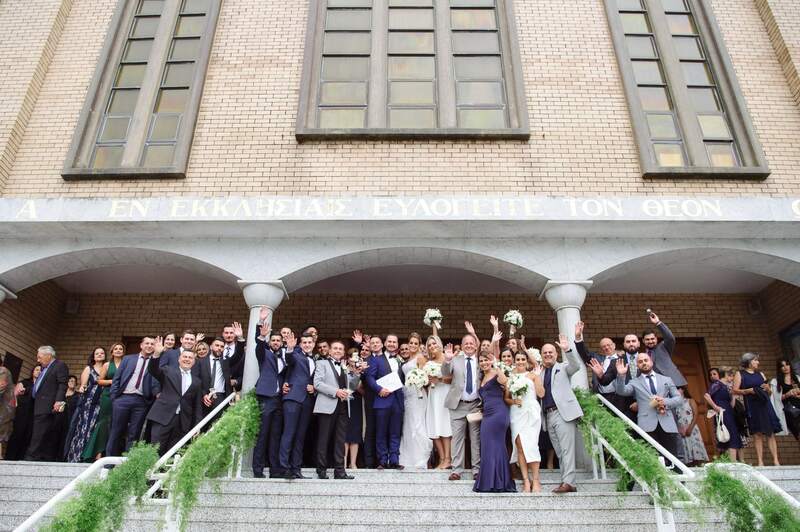 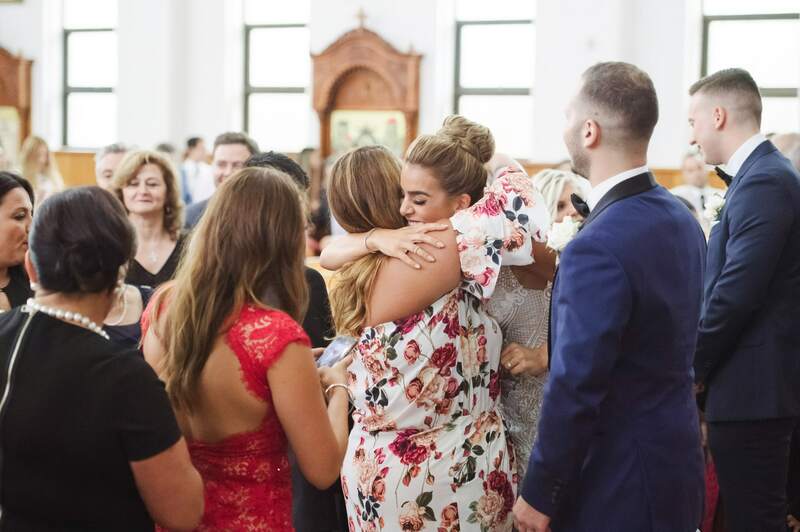 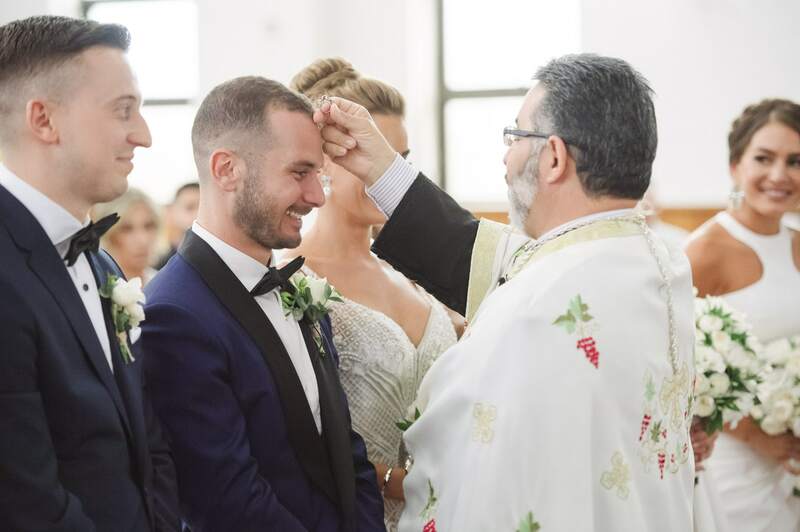 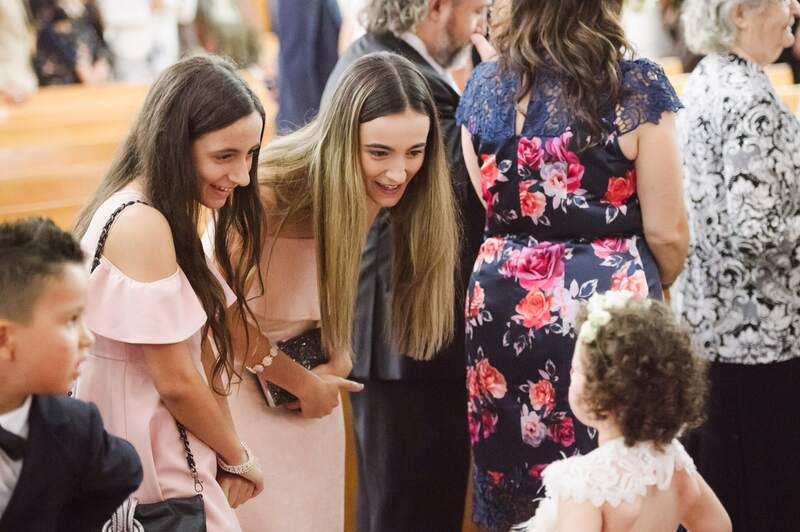 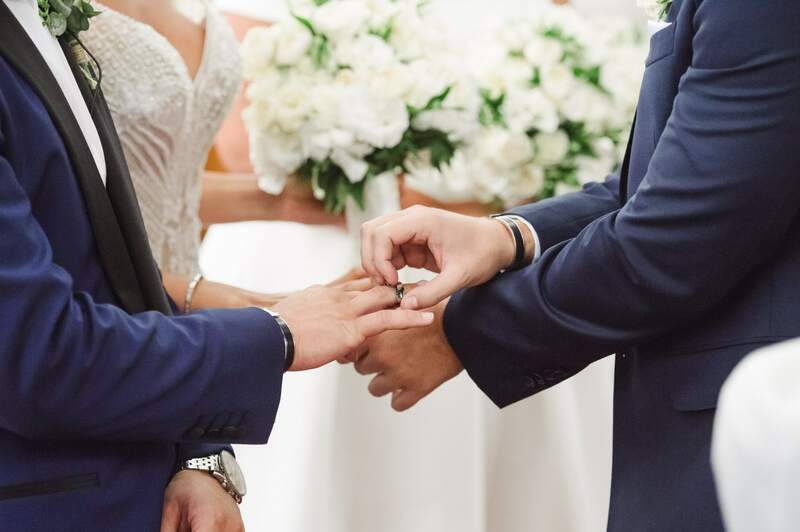 Yanni and Maria tied the knot in a ceremony at St Spyridon Greek Orthodox Church, Kingsford, in Sydney’s eastern suburbs. 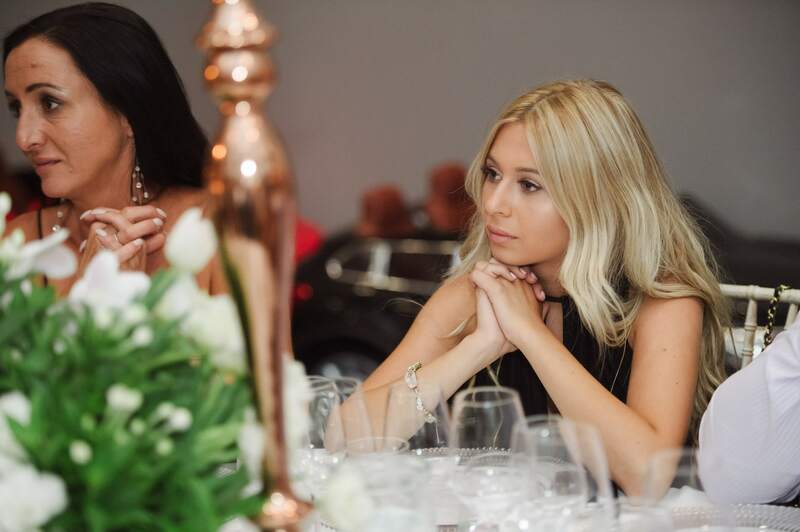 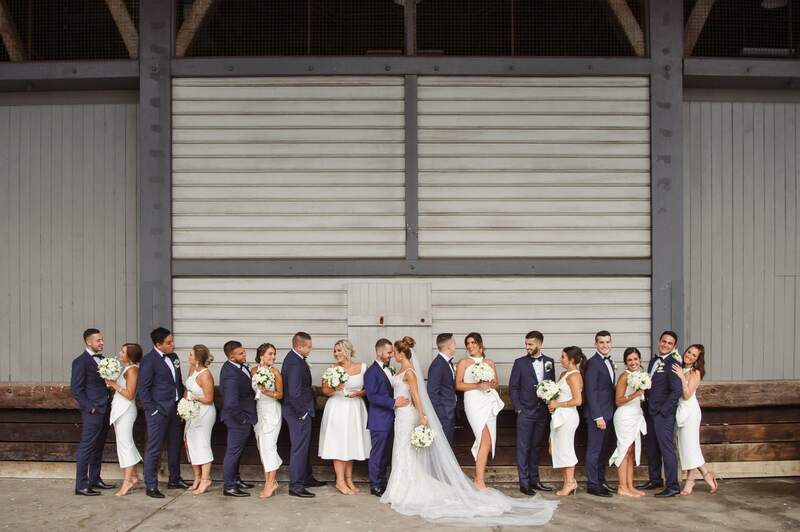 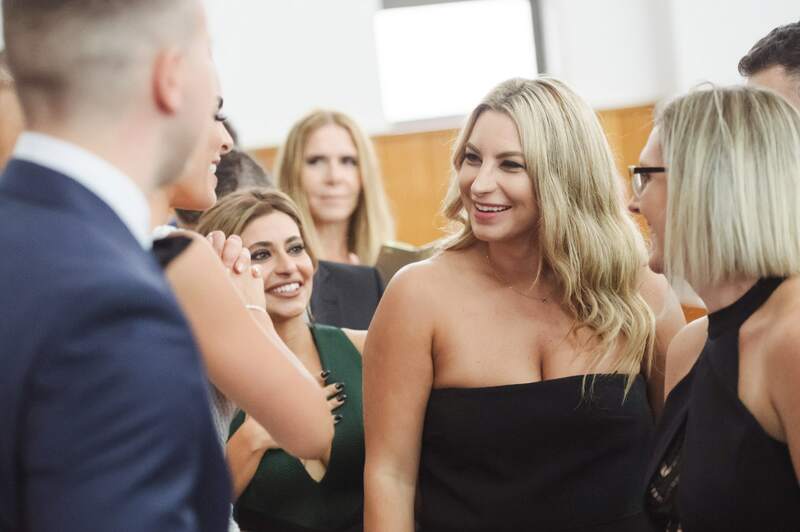 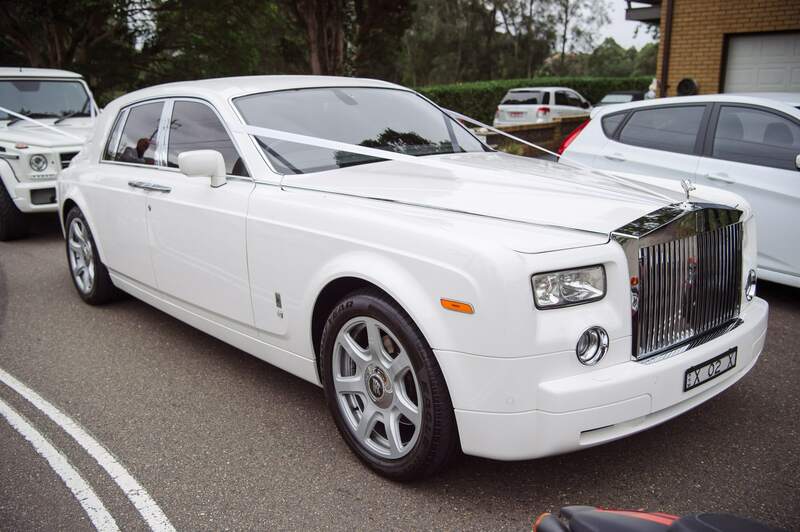 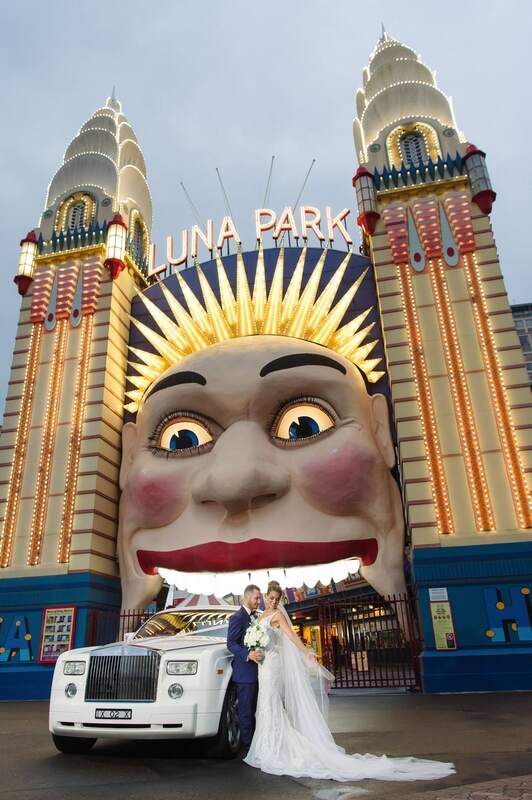 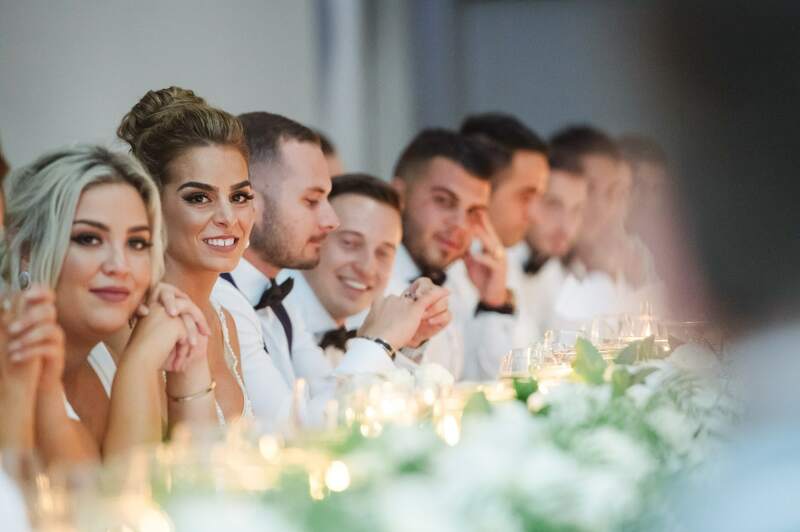 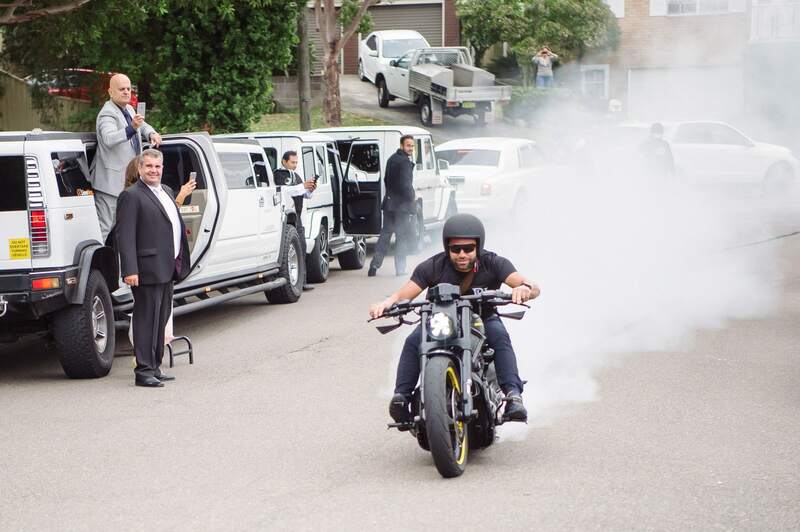 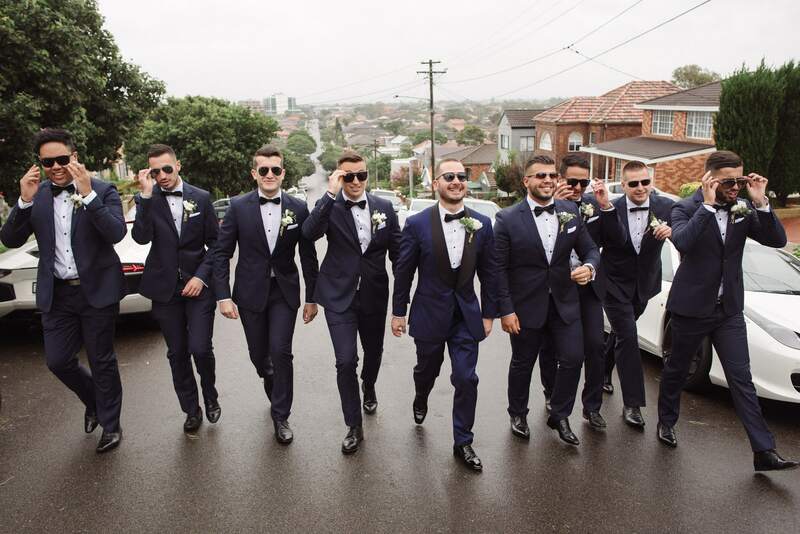 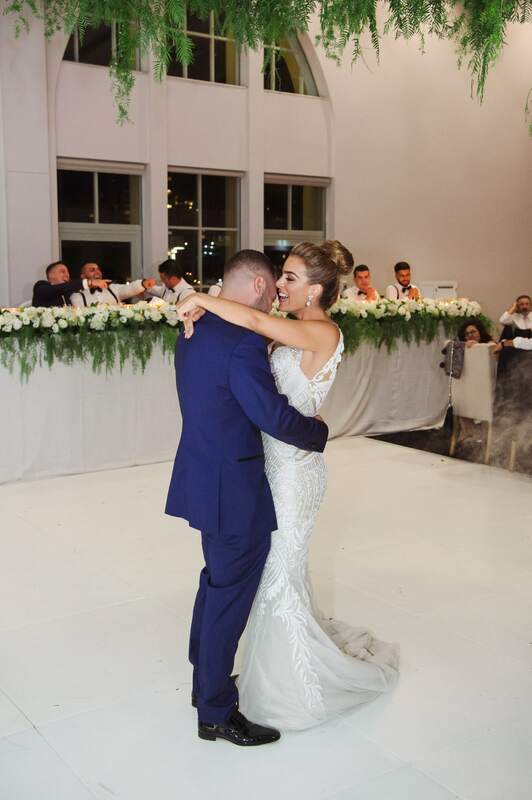 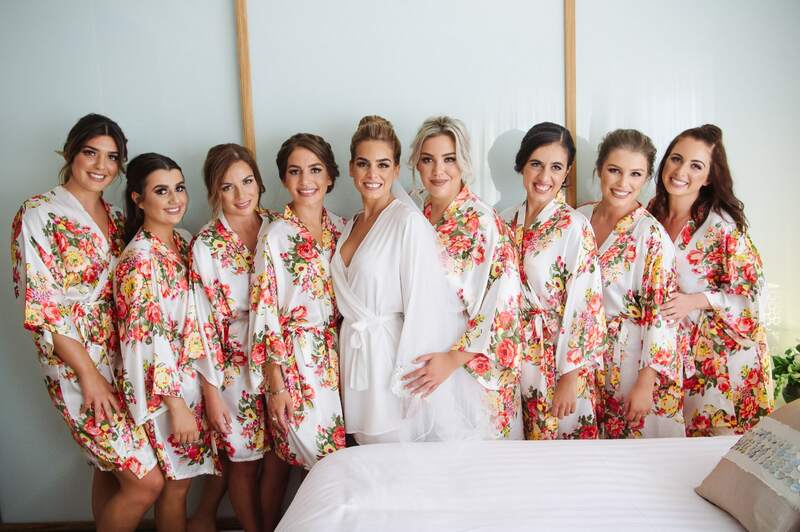 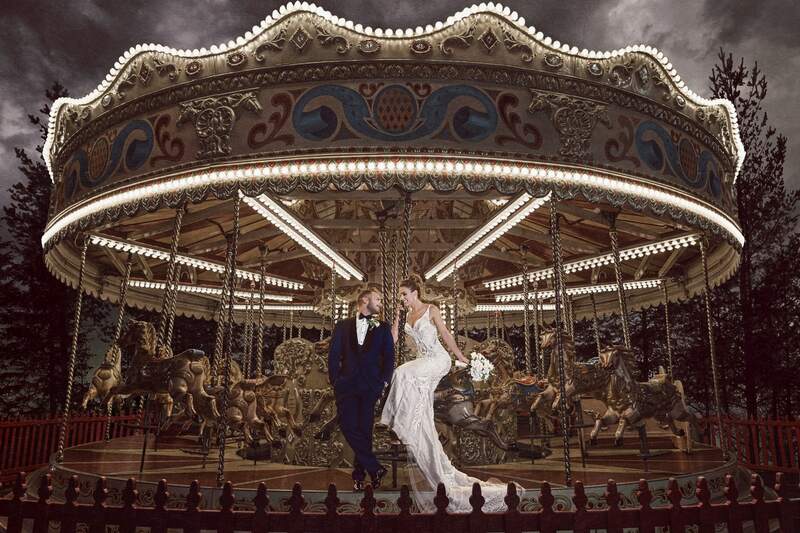 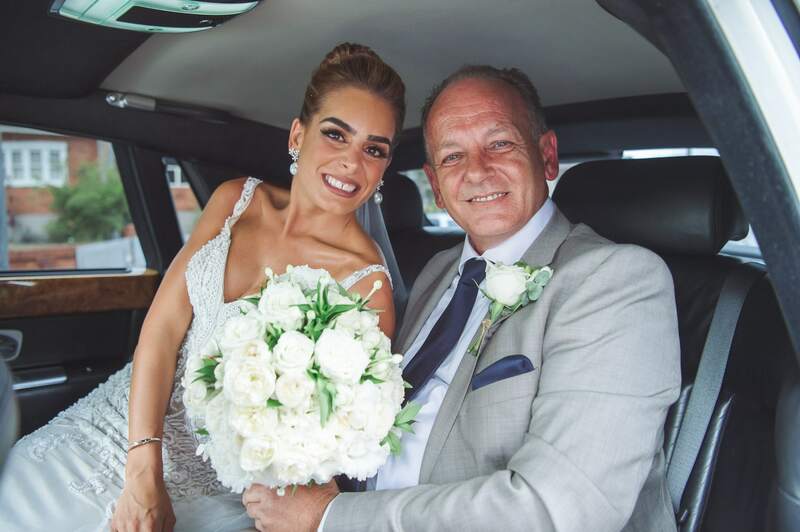 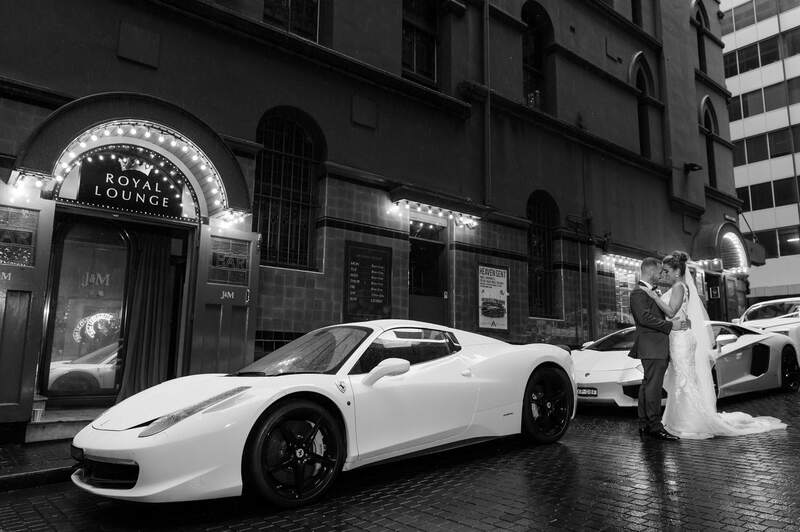 From the moment the wedding cars pulled up – including a stretch Hummer, Lamborghini Aventador and a Ferrari 458 – to the choice of Luna Park’s Crystal Ballroom as the reception venue – it was clear that this wedding would be a truly glittering affair. 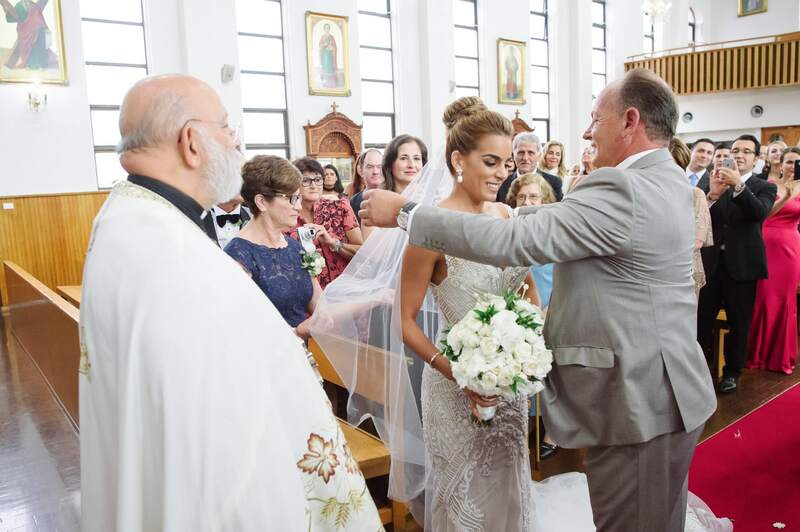 The bride dazzled in a gown that featured thousands of tiny crystal and pearl beads, and a romantic cathedral length veil. 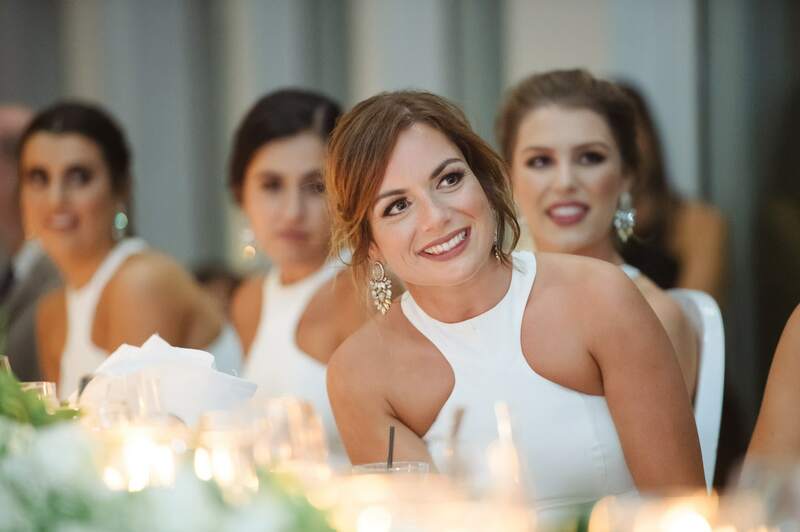 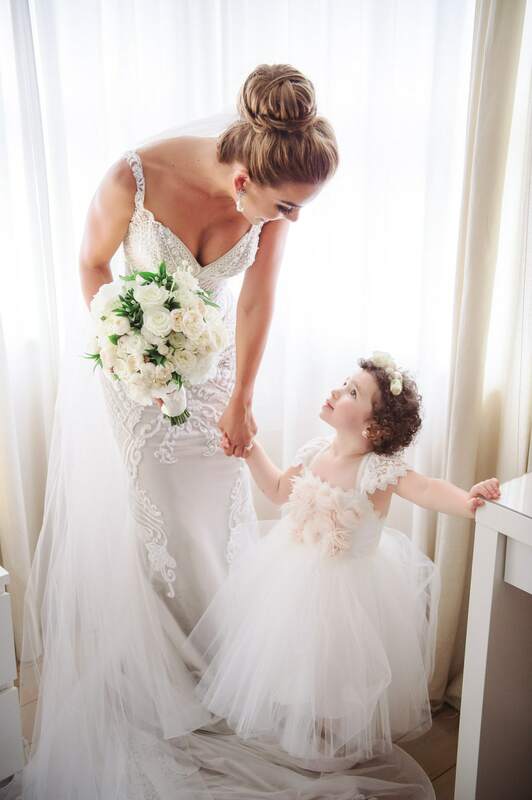 Although usually reserved for the bride’s gown, as this gallery shows, white can also be used to great effect in the bridesmaids’ outfits. 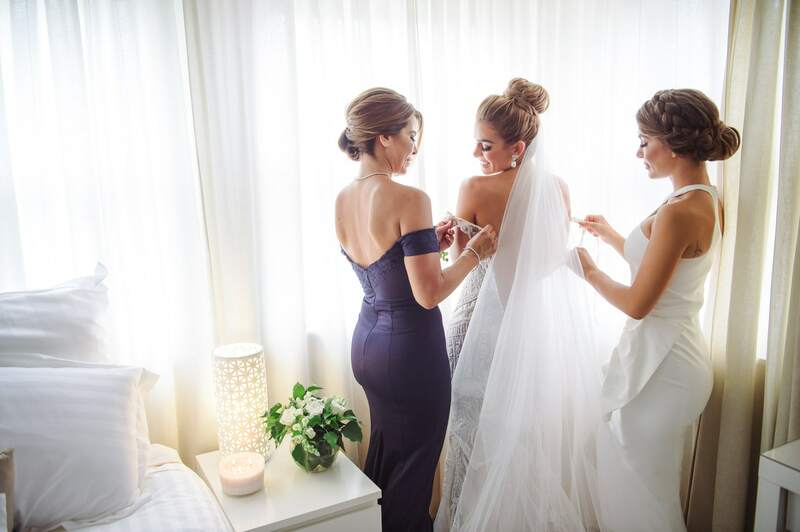 These modern dresses with their clean lines combine simplicity with drama, as they provide contrast with most backgrounds. 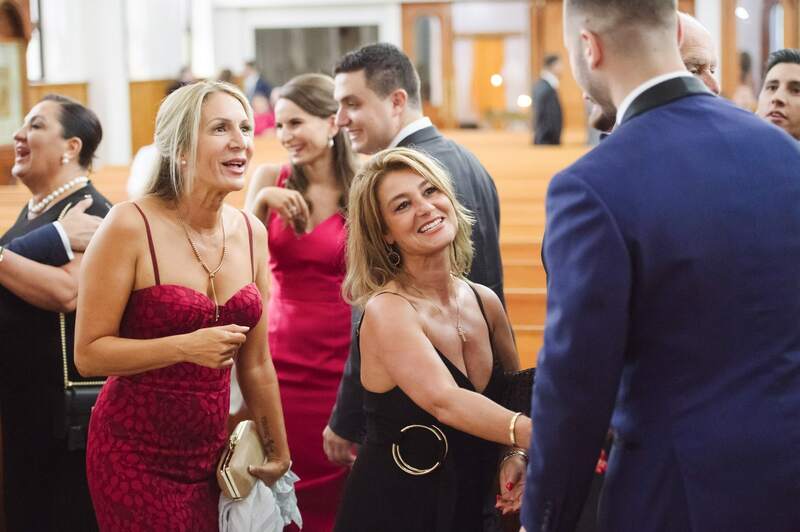 The great party atmosphere at the reception. 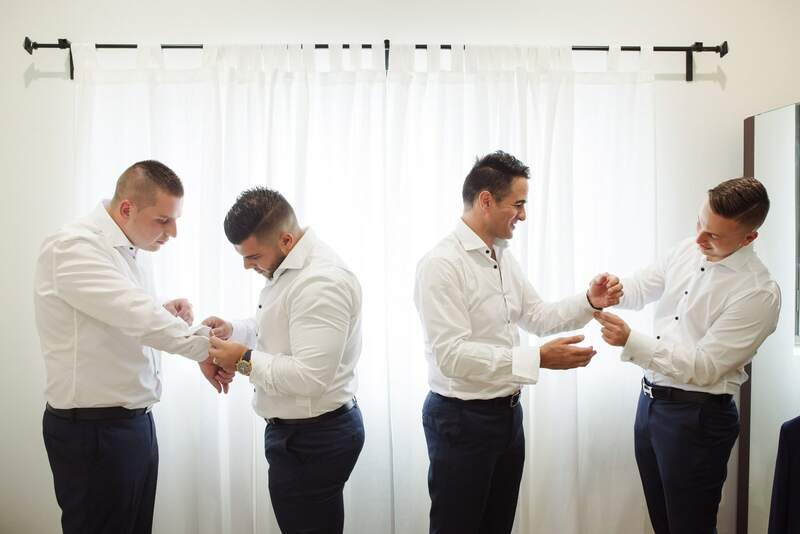 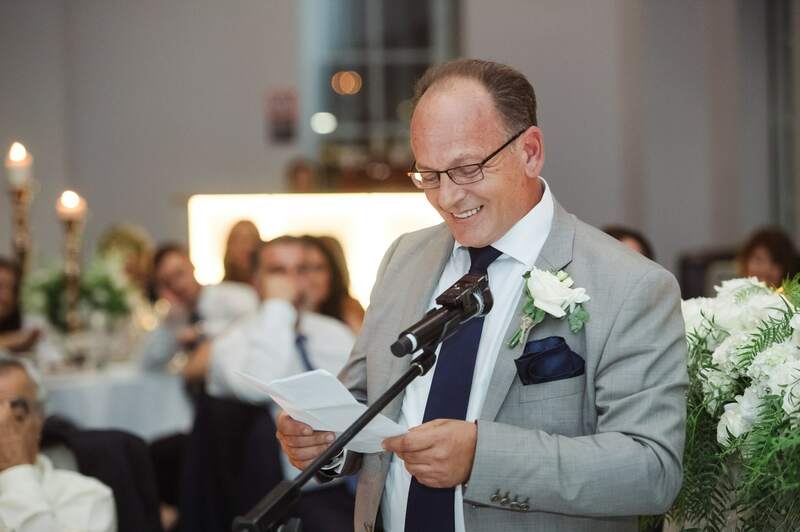 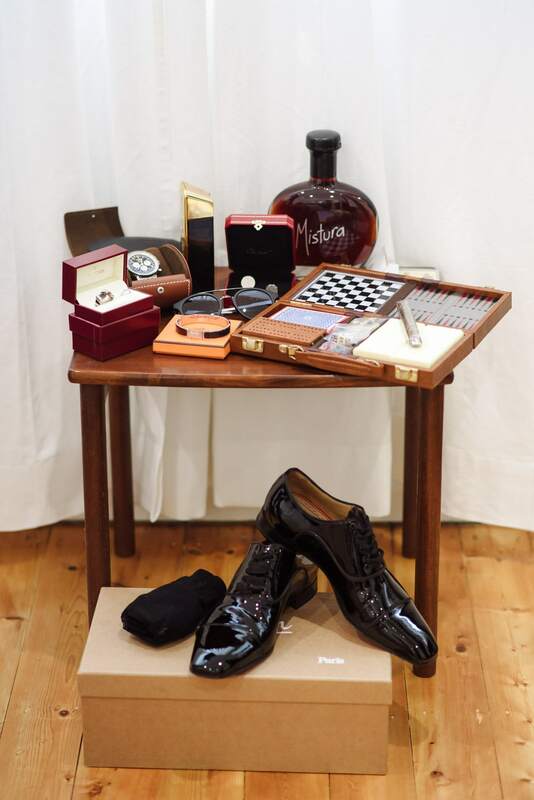 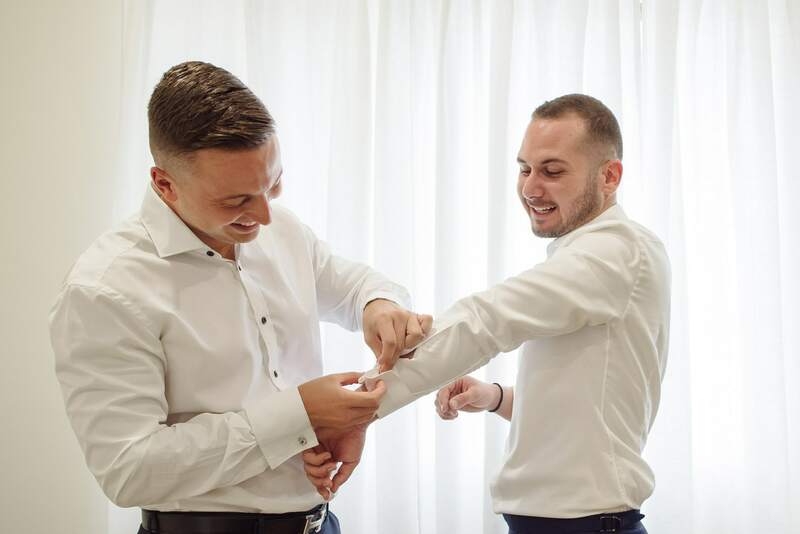 Although a wedding may be a time of formality and fun, at the end of the day it is all about the love between the bride and the groom – clearly visible in these intimate portraits of the happy couple.